Clump #22: Clear off top of bedroom bureau. Now here’s the thing. 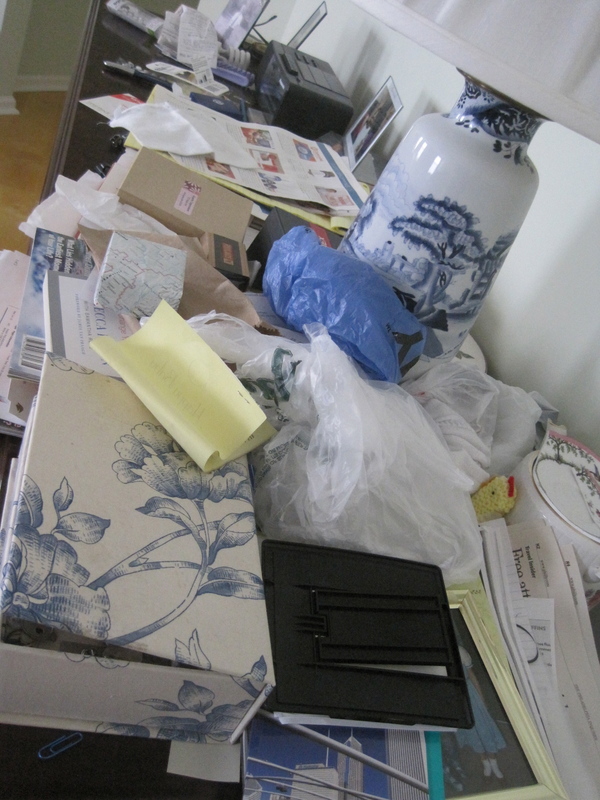 As with previous pile confrontations, there were a few, let’s say, clutter-mines hidden in the mess. Things I’ve avoided confronting either from dread, fear, or indecision about what in heaven’s name to do with them. Sort of like a hidden to-do list. While covered, they don’t exist; by uncovering them, the gig is up. Here’s a good example. These bags are filled with pieces of broken china and pottery I can’t bear to part with. 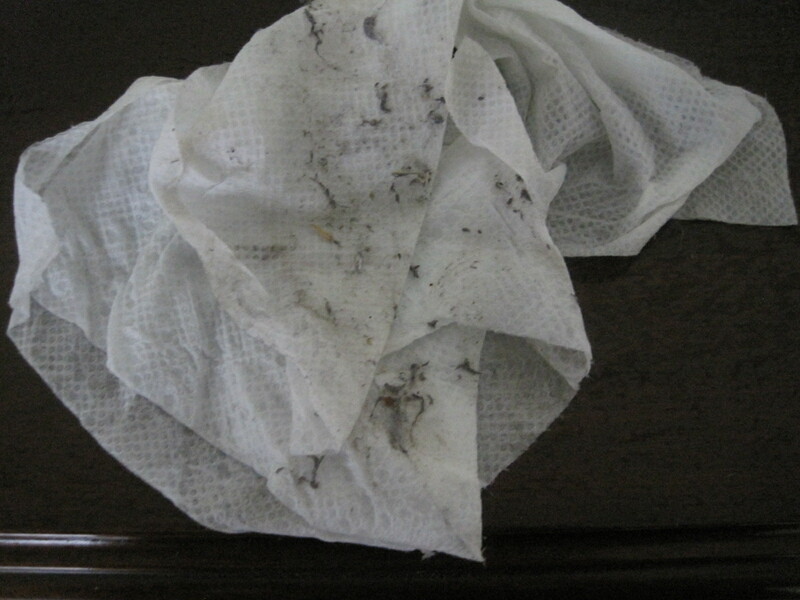 I mentioned previously the very disruptive water damage repair project that left us reeling. A lot was broken. These shards represent dread, not wanting to revisit the sadness, and also fear of the unknown (see below). Please don’t report me to the Hoarder show. 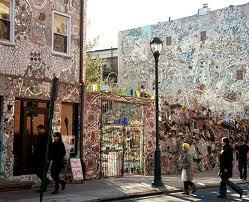 My plan has been to take a class at the Magic Garden in Philadelphia and make something out of these dear shards. But when? It’s pretty expensive … and scary! By shining this blog-light on my silly fears, I, finally, today, called the Magic Garden and enrolled in a class taking place this Spring. I can procrastinate a bit longer, while secure in the knowledge that I did take a concrete step. 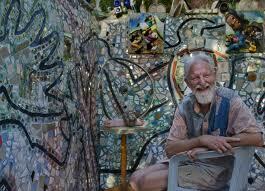 Here are some pictures of the garden and the artist, Isaiah Zagar, who created it and who will teach the class. 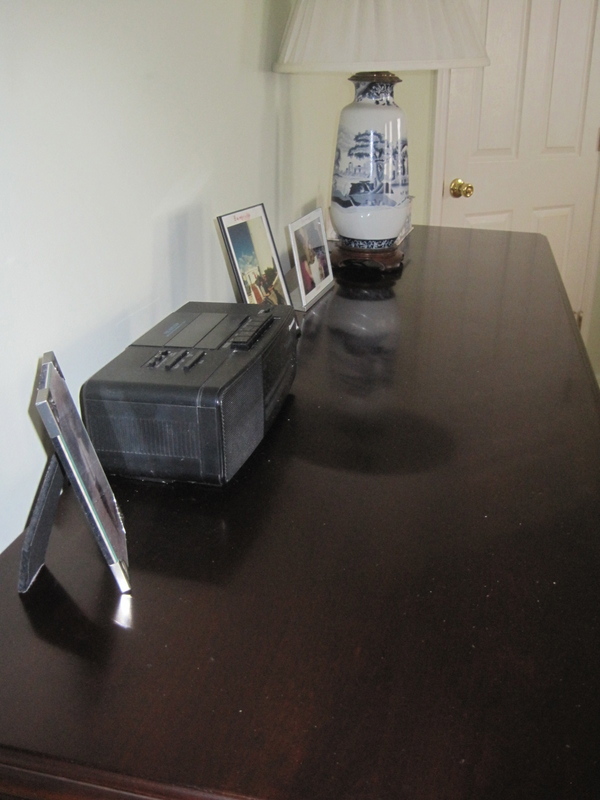 Another insight gleaned: I tend to put items out on a surface so that I will see them and be reminded to do something. Faulty logic! Unfortunately, as more clutter accumulates, the visual field becomes so clogged that the reminder is silenced. And then comes the annoying … “I know I put them in a place where I couldn’t miss them … where could they be? !” Now the bags of shards are in a closet waiting for that Spring weekend when I will form them into something new. One clutter-mine detonated. 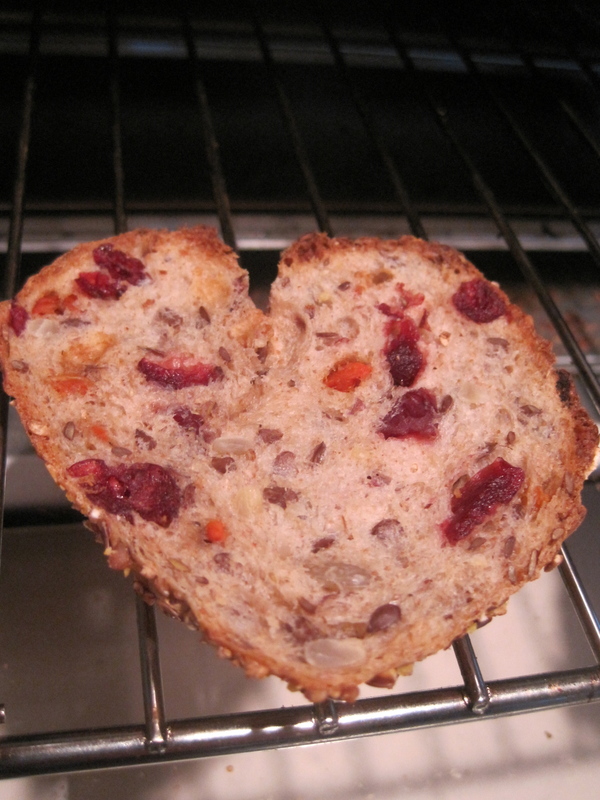 Hearts are all around this Valentine’s Day week! Here are two I noticed. 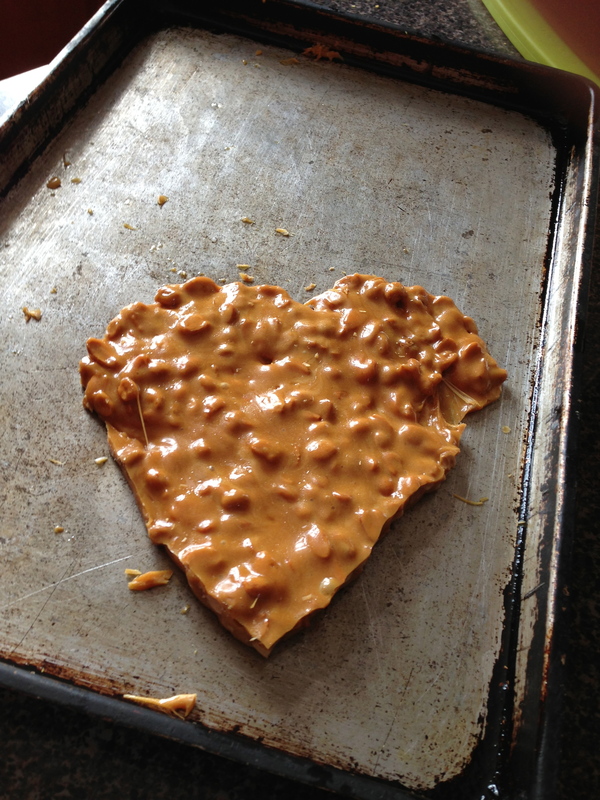 A peanut brittle-heart my husband inadvertently fashioned while making the wonderful treat for a friend. He hadn’t seen it; I had to stop him to snap the photo. A piece of toast becomes celebratory. Love! Wow! 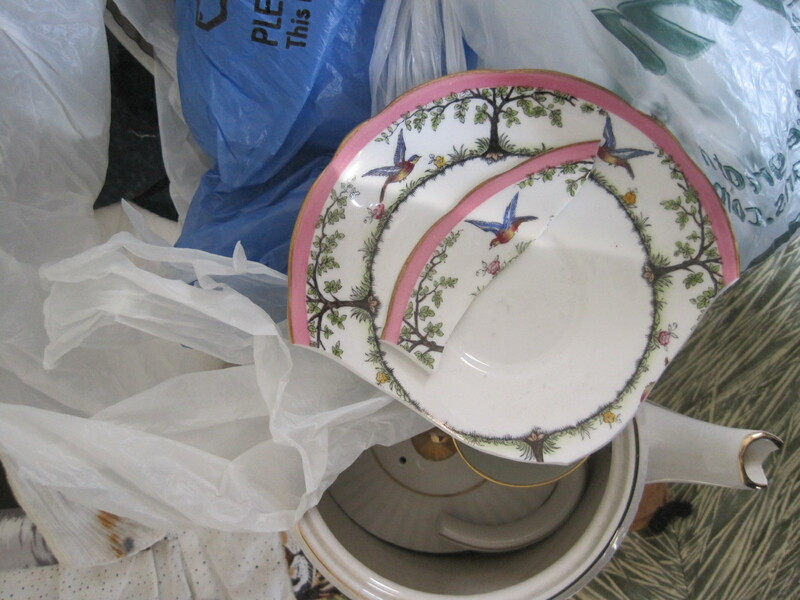 I am so impressed that you will take that class and those gorgeous pieces of china and create something new! I am so proud of you for taking these steps. This posting is so inspirational for its before and after shots! Nice. The blueberry pie story in your previous post was pretty apt for Valentine’s Day! I love that story.